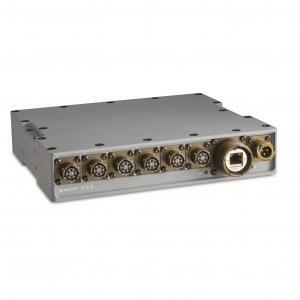 The 19”/2 Switch MIL SSW211 lets you share serial devices, like radios or satellite modems between multiple users. Each port can be configured with its own IP address. Fiber optic and copper connectivity let you work both on-site and remotely. And with support for all three of the most common RS protocols, this switch gives you the flexibility to connect almost any type of device.